This video shows the movement of Comet C/2012 F6 (Lemmon) as it appeared on 27th January 2013. Although not a naked-eye object the comet was easily visible in my 12x80 finderscope under a full Moon. 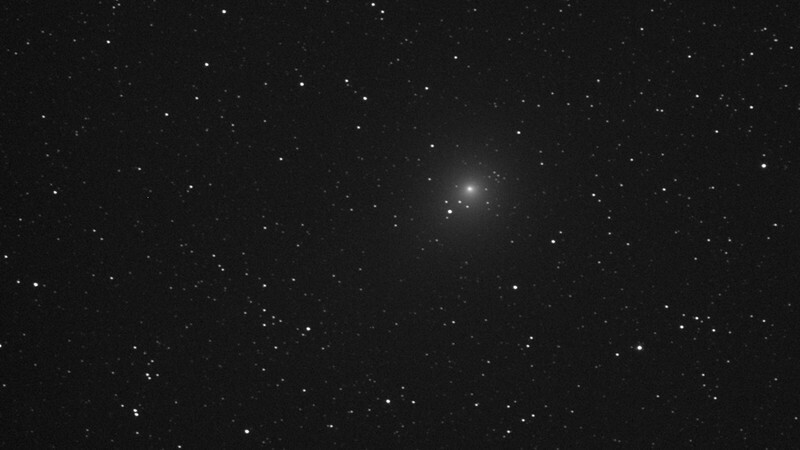 I imaged this comet on 26th, 27th and 28th January and it became noticeably brighter during these three days alone. This video was made with the data from 27th January, taken through a clear filter. The comet was moving quite rapidly against the background sky. I measured the movement to be roughly 5 arcseconds per minute.